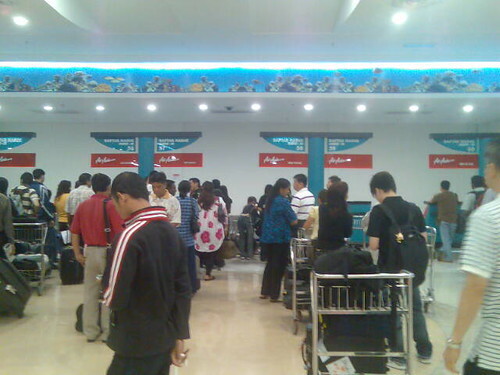 Checking in at the Air Asia counter. I have forgotten what time will the flight take off and arrive. Haha. Oh man! I’m so sleepy right now, slept at almost 2 last night for packing, gonna take a good sleep on the flight later.